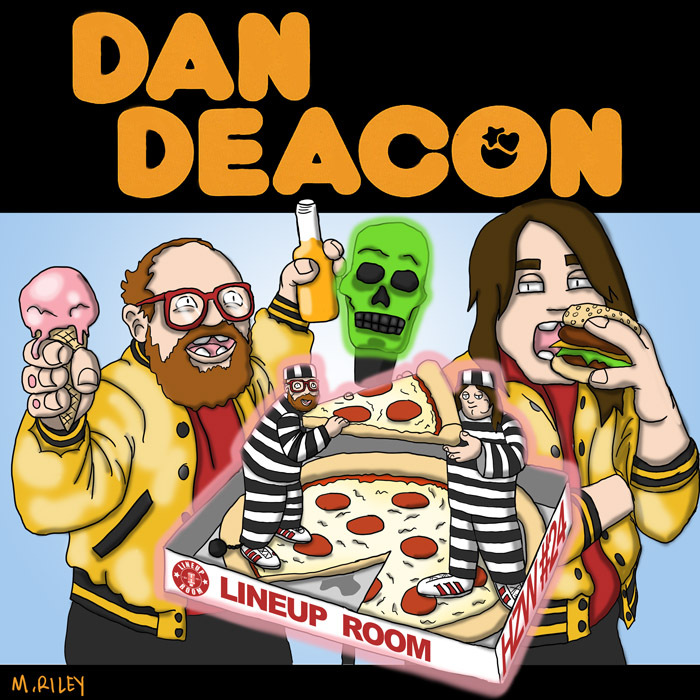 My guest this week is Dan Deacon, the Baltimore-based electronic musician / composer. Dan is one of my oldest friends in this music world, and we’ve clocked many miles on the road together. We talk about discovering the DIY underground and how he feels that it saved his life. We discuss how coming to Baltimore as an outsider allowed him to ignore the scene’s rules and create a more inclusive environment. He told me how he’s recently learned to rid himself of an addiction to stress and to enjoy the fruits of his labor. Splice Today is now our official host of the show, and the spot where all the episodes will premier. As always, this show was recorded at the Lineup Room. Mike Riley Comics provided the cover art, which is an homage to The Fat Boys’ self-titled debut. Posted on January 12, 2015 June 30, 2015 by height keech	Bookmark the permalink.